Ever thought government could be run better and be more innovative? 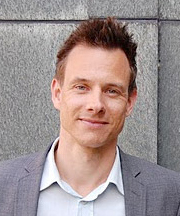 Then join us for a discussion on innovation in the public sector with Christian Bason. Christian is Director of MindLab, a cross-ministerial innovation unit in Copenhagen, Denmark. He is also the author of three books on leadership, innovation and change in the public sector. His most recent book, Leading Public Sector Innovation: Co-creating for a better society, offers new tools for citizen involvement through design thinking and ethnographic research. Through inspiring global case studies and practical examples, Christian addresses key triggers for public sector innovation. He identifies the leadership roles that we need to drive innovation at all levels of government. Spots are limited. To attend you must RSVP here.